Mvix Ultio 1080p | If not now, then when? I’ve been looking at upgrading my PC and/or buying a HTPC but this wonderous device could be the best thing ever! It’s a low power consumption media box that can happily crunch through 1080p videos! 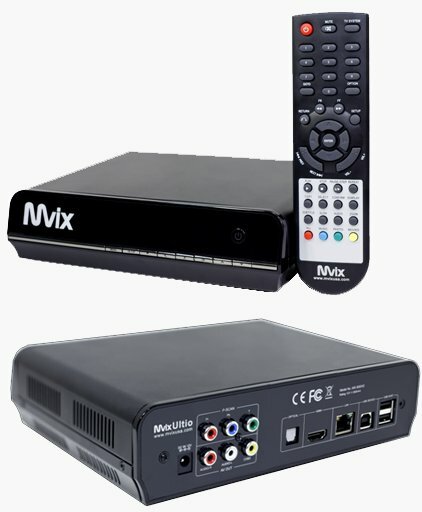 Mvix Ultio (MX-800HD) 1080p Media Center, a new generation of media center, brings your digital entertainment to your living room. A Hard-Disk based set-top media player capable of HD playback with video output as high as 1080p, it delivers spectacular picture quality of HD video and crystal clear sound clarity of digital audio. Ultio is internet-ready and pre-equipped with a network port (and an optional Wireless-N capability). It sports a samba server and a UPnP implementation, allowing seamless integration with services likePlayOn® or Tversity® (for streaming video content from Netflix®, Hulu®, CBS®, You tube®, CNN®,ESPN® and much more). So totally sold its unreal!